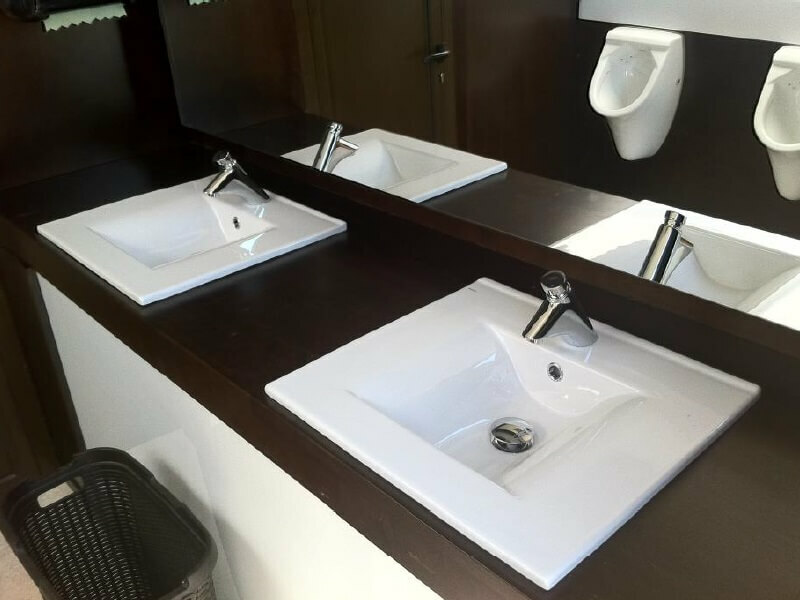 Portable toilets bring their grain of sand for the protection of the environment with a more responsible use of the water and making the drinkable water safer. It also enables a productivity increase in the working centres. 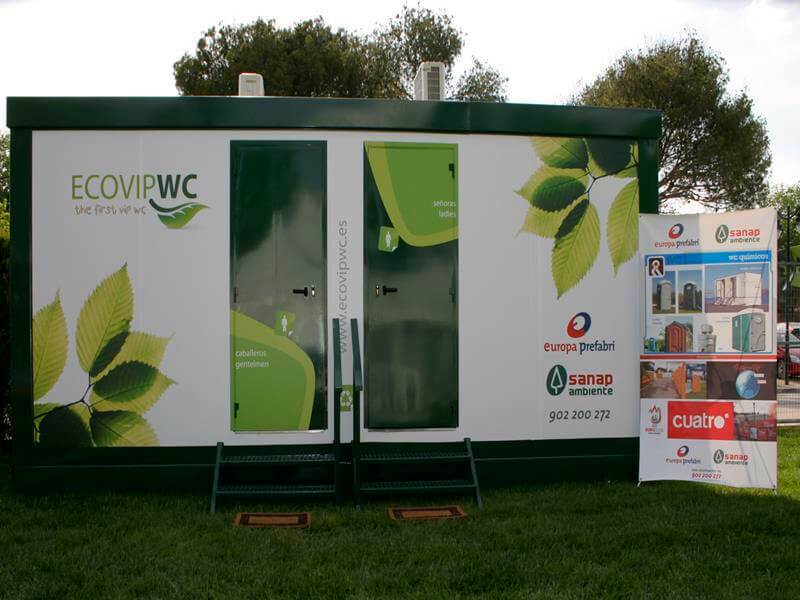 Portables toilets and their contribution to the protection of the environment. 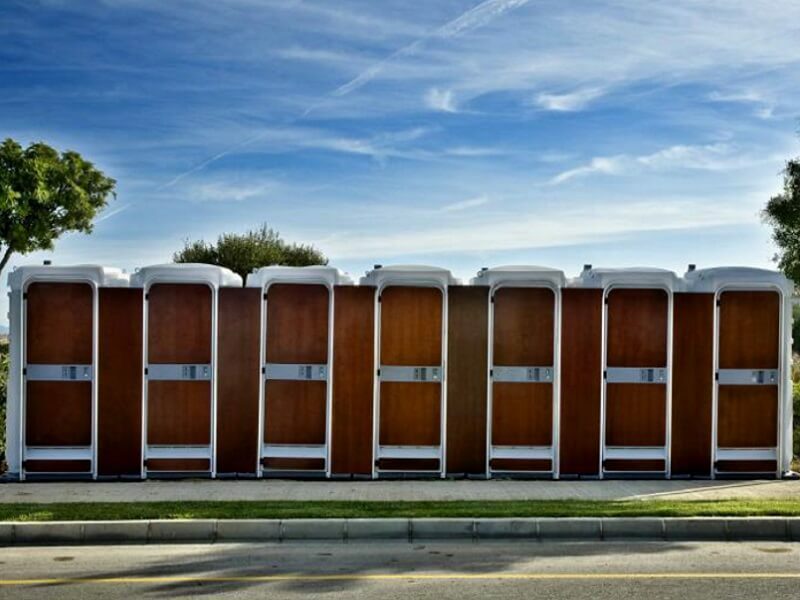 Portable toilets have a huge impact on water supply around the world. Every day more than 473 million of water are saved in the world thanks to it, a number that could reach the incredible amount of 170 billion of litres of water. In order to have a point of comparison, the maximum capacity of the reservoir in San Juan of Madrid is around 138 billion of litres. But how is it possible to save water? This is due to the effective use of the water that is used. 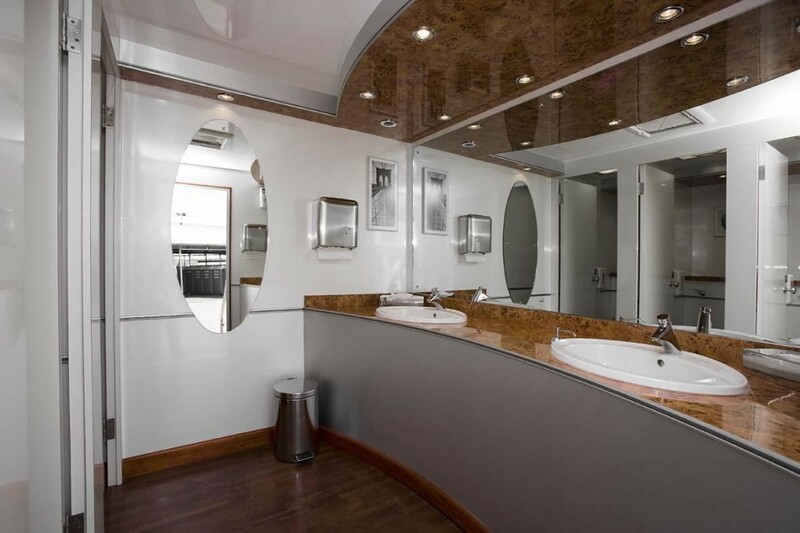 Traditional toilet with only one button waste between 8 and 12 litres each time that we flush the toilet. 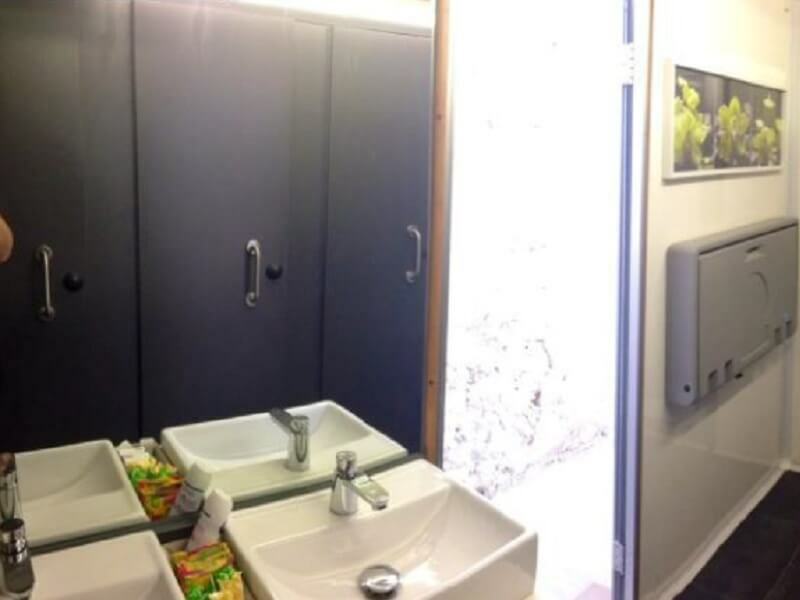 Toilets with two buttons waste between 3 and 4 litres for the little button and between 6 and 7 litres for the big button. Some simple solution exists in order to waste less water, because in reality we do not need so much. One of the most famous is introducing in the cistern a half-full bottle of water, which occupies some space of the cistern volume. 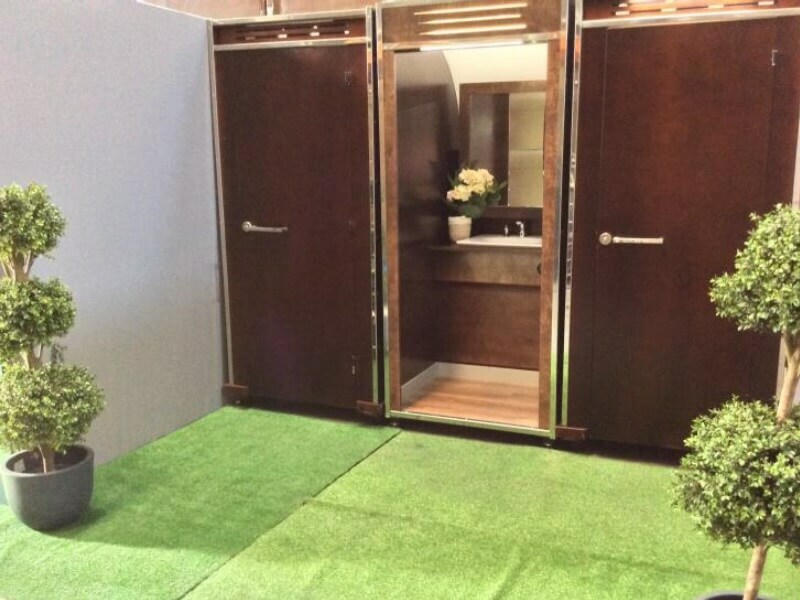 Nevertheless, with only 20 litres of water added to one treated product and biodegradable that disinfect, discompose the organic material and inhibit bad smells, portable toilets can be used until 300 times. 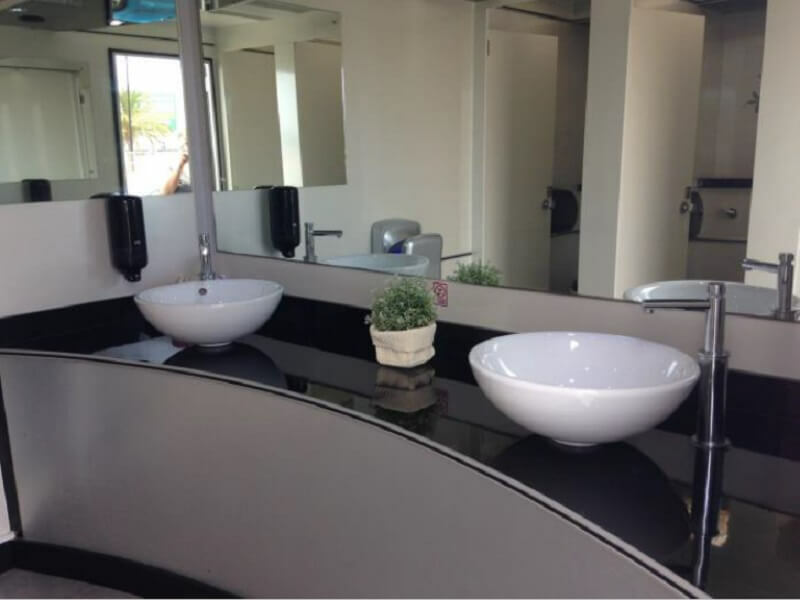 Furthermore, portable toilets help to protect water sources from devastating contamination effects that can be lethal for human beings, fauna and flora in rural areas and in areas that do not have access to a sewer system. 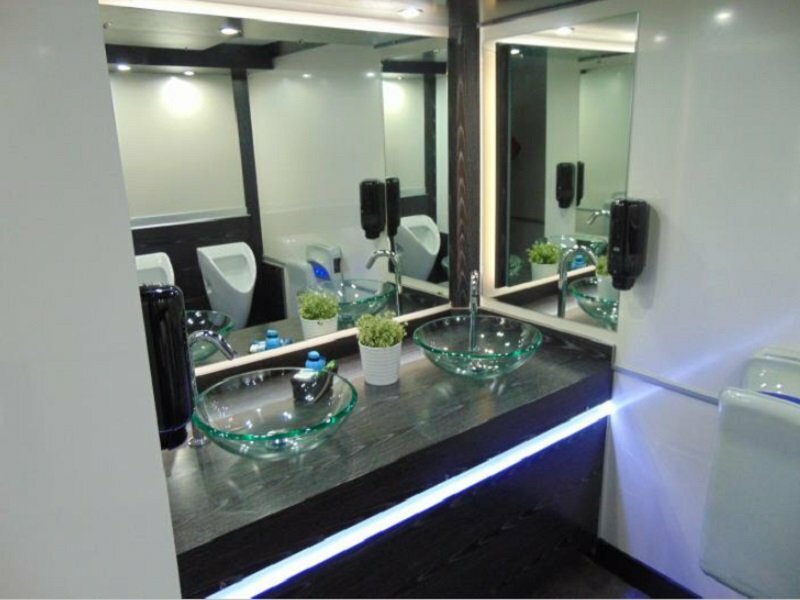 How do portable toilets help at protecting the quality of water? 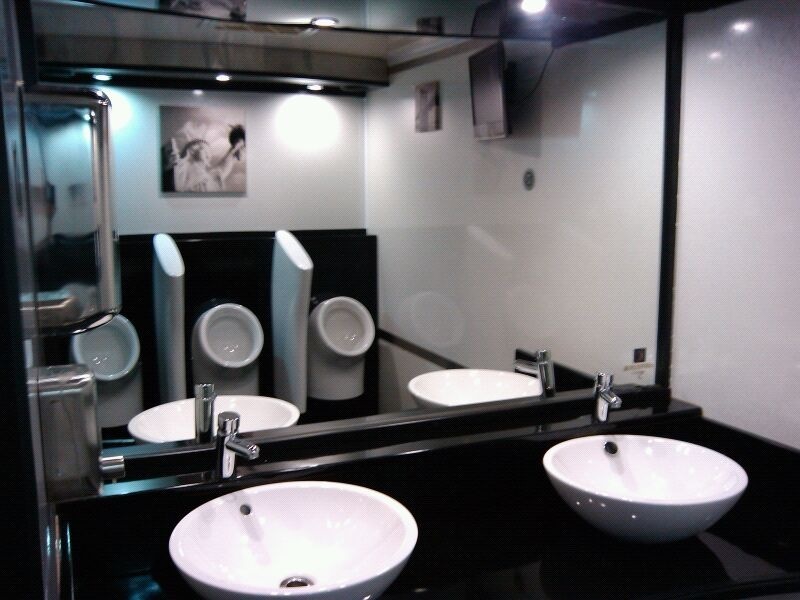 Portable toilets have their own water-tank, which enable them to be self-sufficient and to work without any connection to sewer system networks. Technicians specializing in cleaning have to empty these water-tanks and transport the waste to the closest sewer plant for its correct treatment. 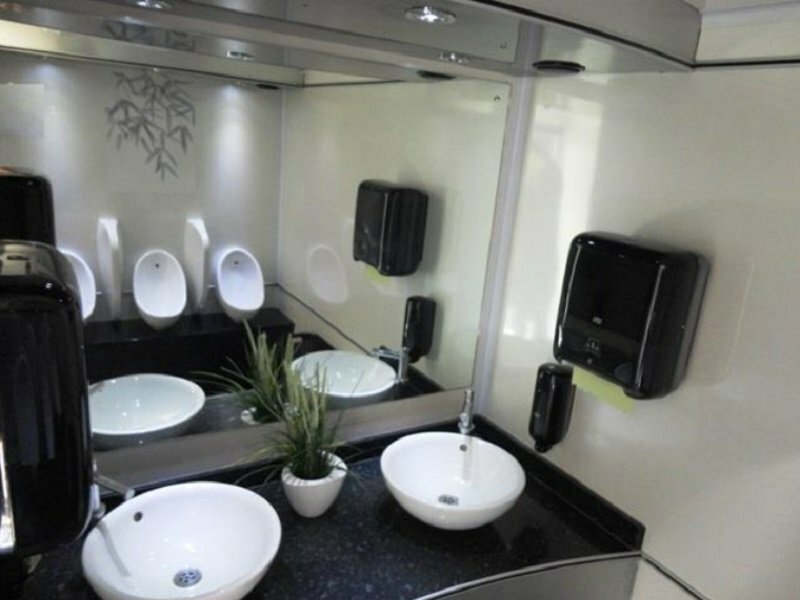 Portable toilets help increasing productivity. Every day, a person spends around 18 minutes in the toilet, and this time is increasing in case there are no toilets in the working center. 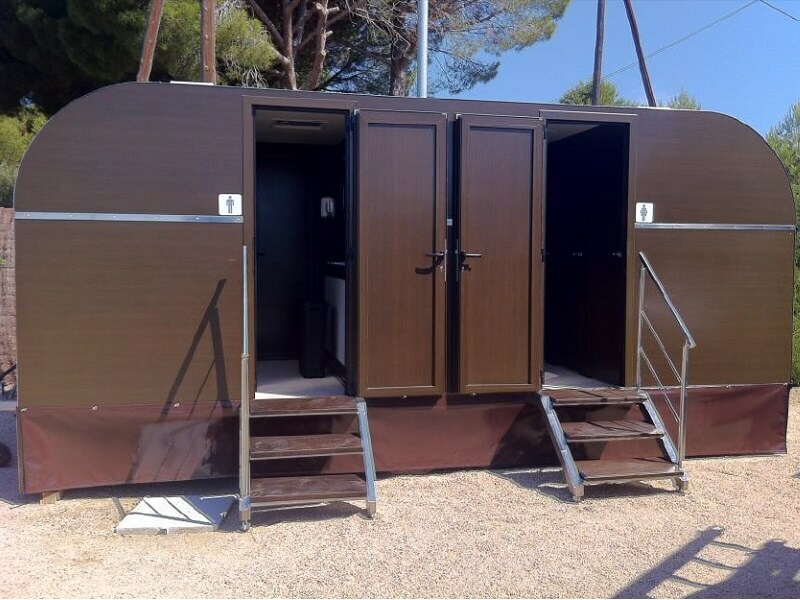 The presence of portable toilets in working centers helps at increasing productivity by avoiding the displacement of workers far from their workplace, which can be seen as a cost reduction. 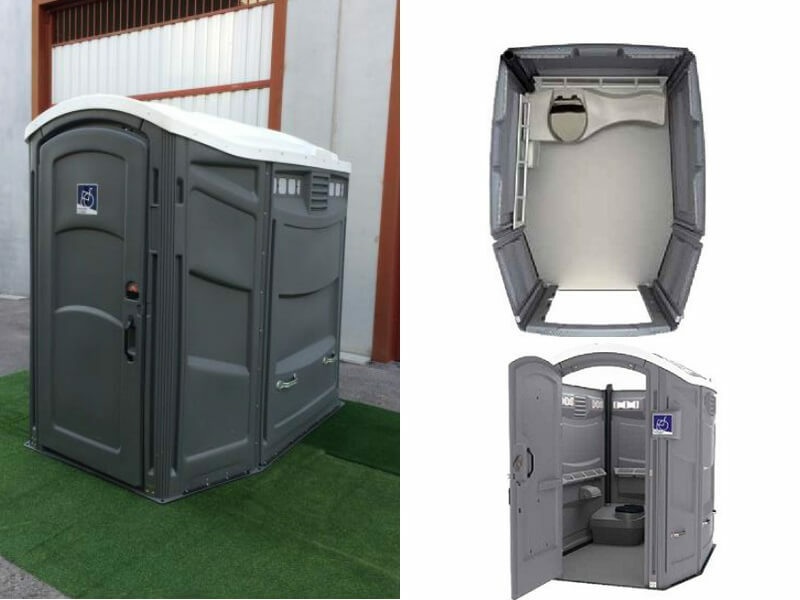 Concerning construction, it is normal to have portable toilets, which is regulated by the European standard UNE-EN-16194 that establishes the number of users and the quantity of toilets. 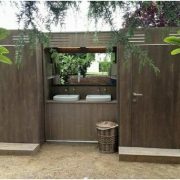 En el sector de la construcción es habitual la presencia de los baños portátiles, estando regulado por la normativa europea UNE-EN-16194 que establece el número de usuarios y la cantidad de cabinas sanitarias. 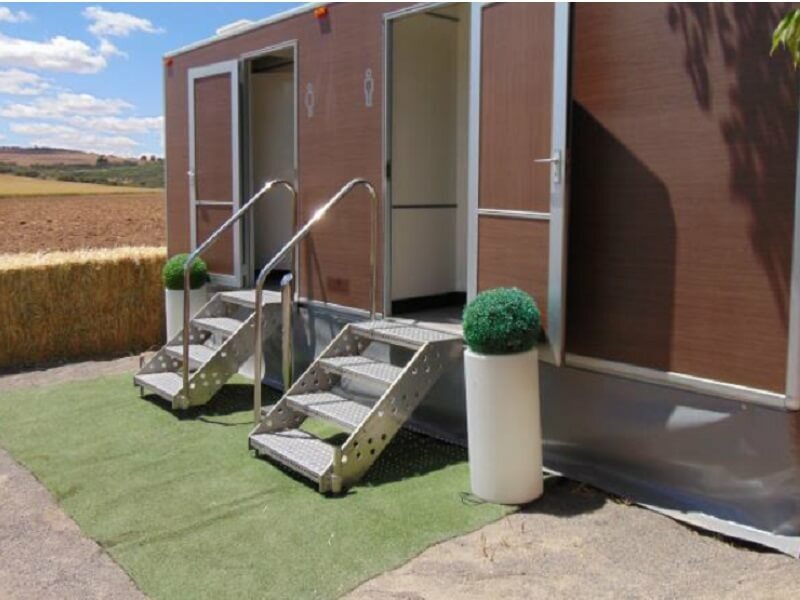 Indeed, portable toilets are also promoted for mining and agricultural exploitation, which regulate the same way as in the construction with this European standard. 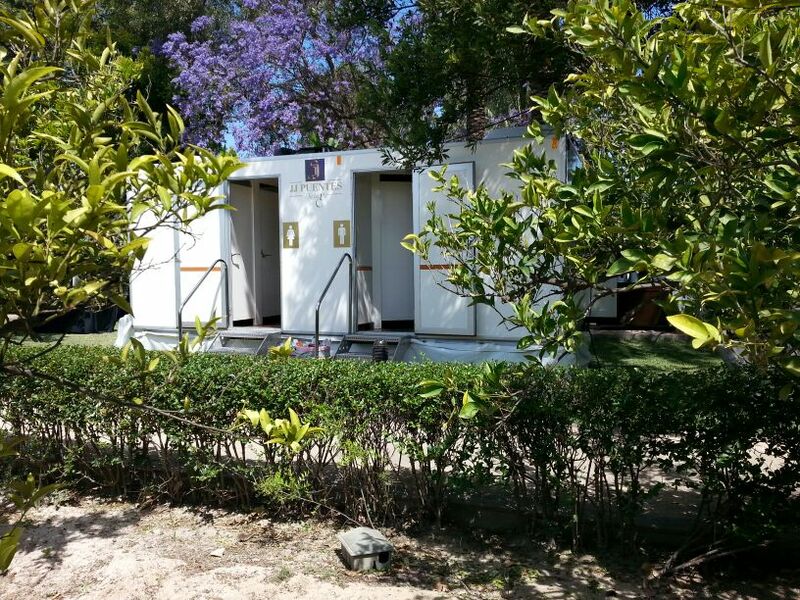 The distance between portable toilets and working centers should be more than 100 metres. 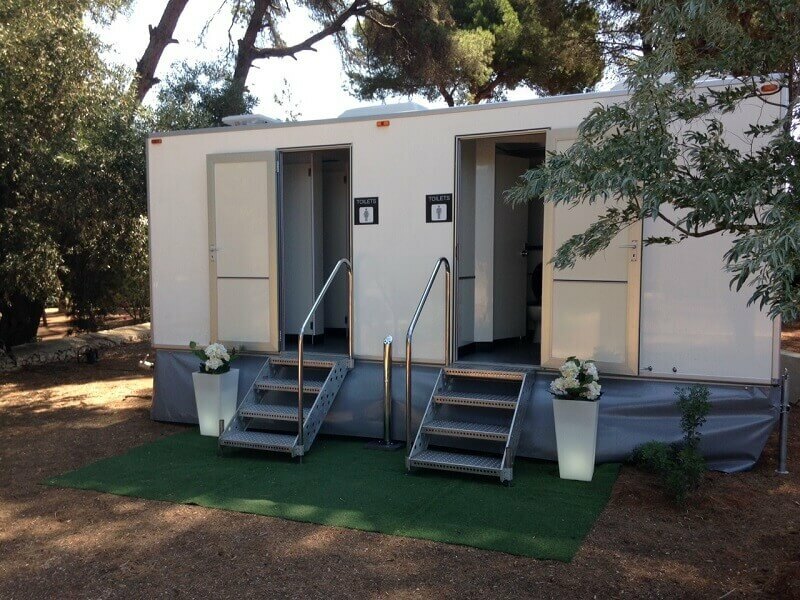 Portable toilets: the best solution for events. 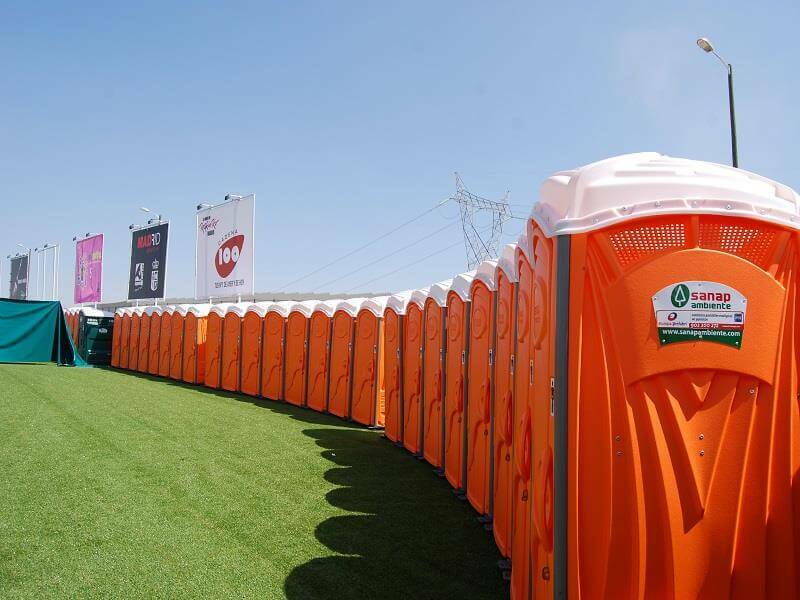 In order to profit from events without any concerns, it is always mandatory to have a correct number of toilets in order to avoid endless queues that prevent people from enjoying the event. 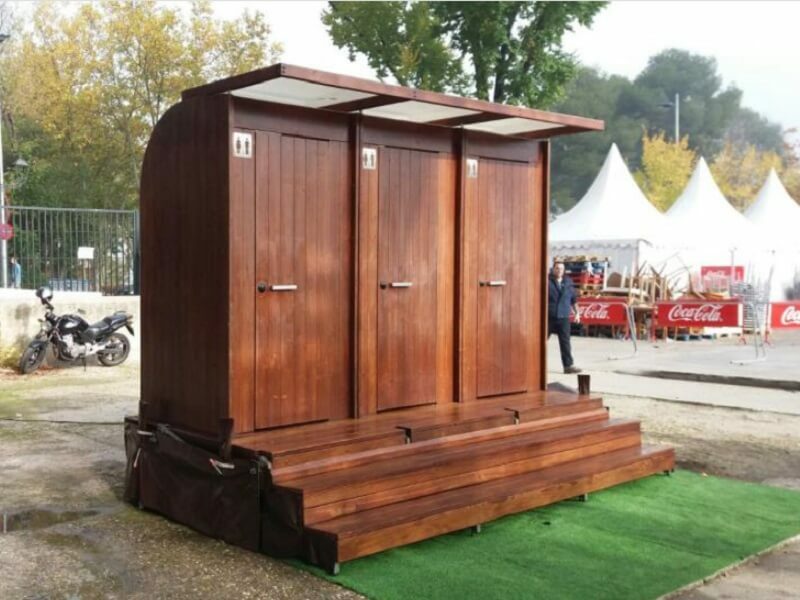 In fact, in this European standard, the number of portable toilets needed to celebrate correctly an event is also regulated, as you can see on the table bellow. Cleaning interval: In this table, the intermediate cleaning nor auxiliary services in situ are not registered, because an individual calculation is needed. If the events last more than 6 or 12 hours, the cabin should be cleaned by intervals of 6 or 12 hours. 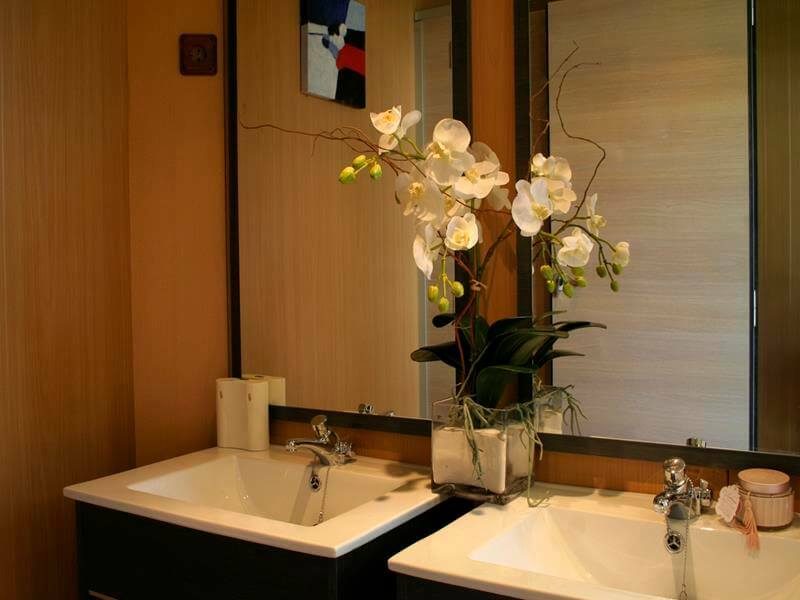 Moreover, a higher correction factor should be added if in these events drinks and food are being served, because the use of portable toilets would increase. 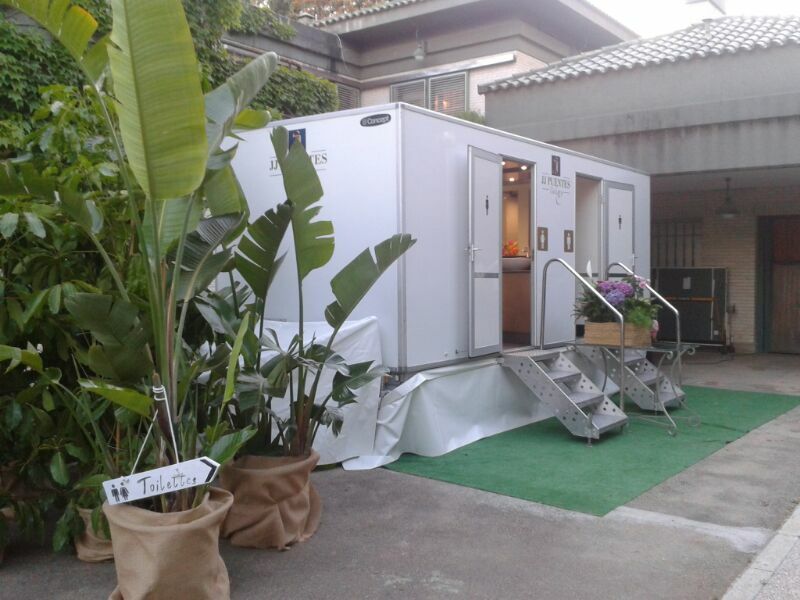 Which services are included while renting a portable toilet? 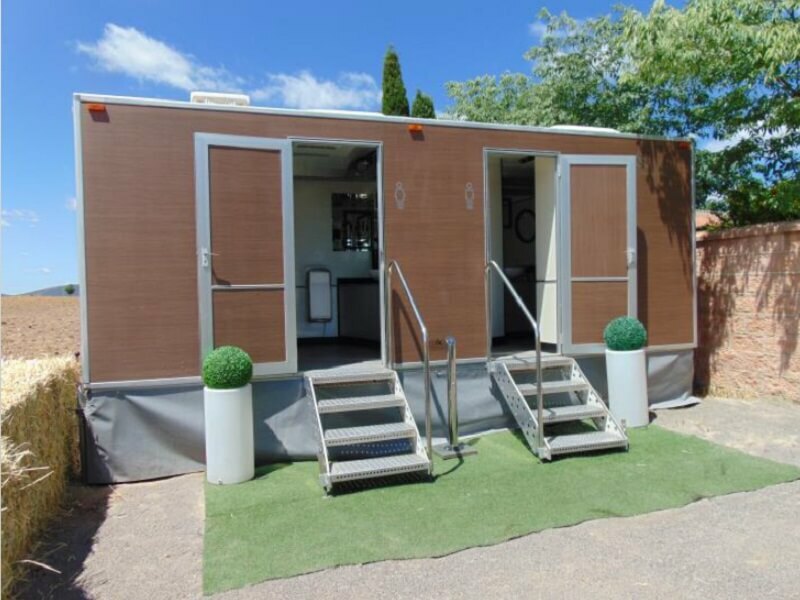 Concerning the rent of portable toilets, the transport is included to the place requested, its instillation time, the cleaning of the sanitary facilities (in the construction and mining sector there are weekly cleaning and during events one or two times a day depending on the type of event) and the removal of the portable toilet where it was placed.